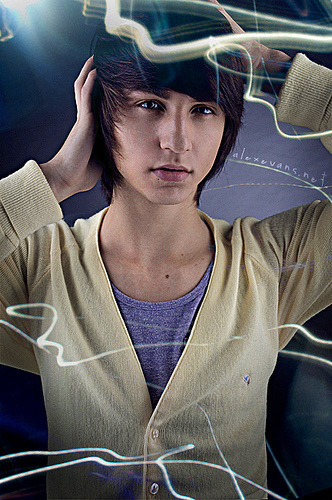 Alex Evans. . Wallpaper and background images in the Emo club tagged: emo image. This Emo photo might contain fedora, felt hat, homburg, stetson, trilby, boater, leghorn, panama, panama hat, sailor, skimmer, and straw hat. CUTE !!! WHOS THATS ?? JEJE LOL JK ! !